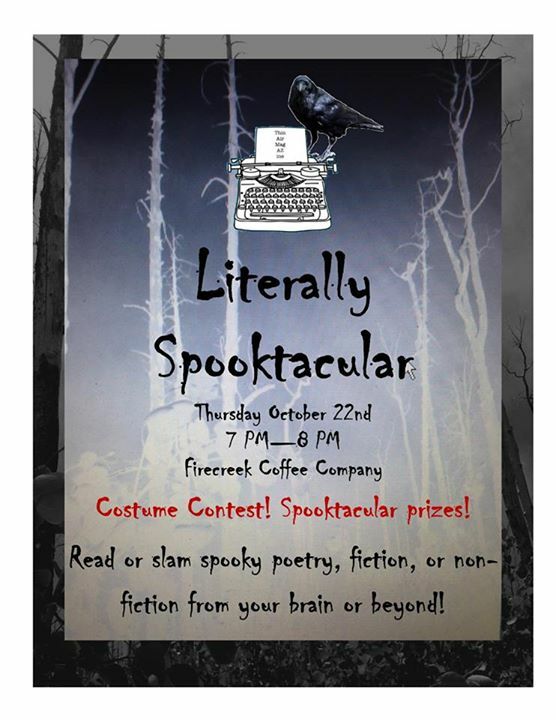 This Thursday, October 22, 2015 from 7-8pm, join us for “Literally Spooktacular” at Fire Creek Coffee Company. This fun and free literary event features an open mic where you can share your own spooky stories (of fiction or CNF) and poems or read a favorite classic tale. There will be a costume contest and spooktacular prizes. See you there, if you dare!